The Large Pressure Treated Tongue And Groove Mobility Scooter Store allows you to securely store you mobility scooter away from the harsh elements of the weather. It has been designed especially for the purpose it has a full store width door and no floor to allow the scooter to roll in with ease. 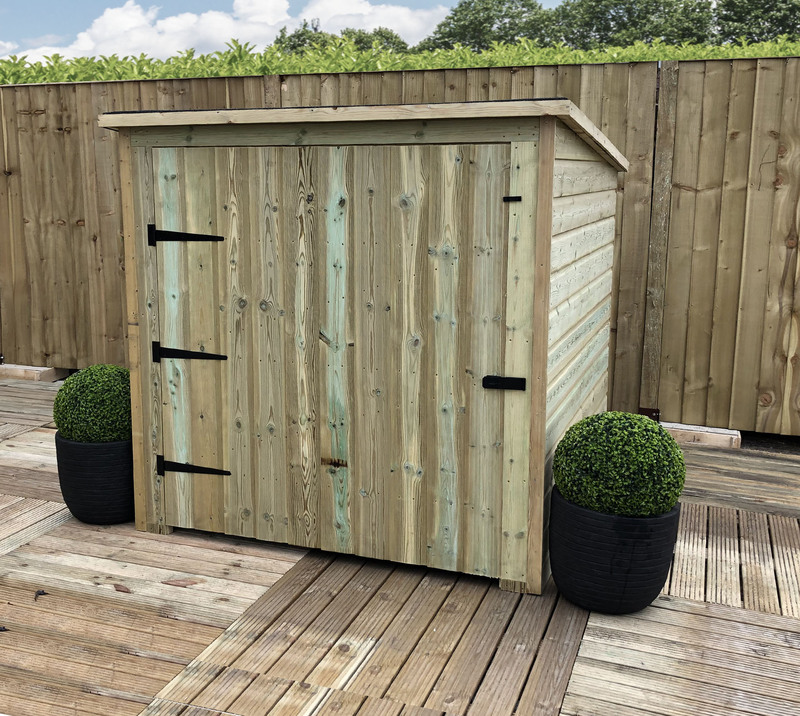 These stores are manufactured, in the UK, using premium quality pressure treated FSC renewably sourced redwood timber creating a long lasting quality product. Redwood is the hardest of all softwoods and we use only the highest quality tanalised planed timbers. The timber is pressure treated for a long and durable life but it is still advised that a stain based treatment is applied every year to extend longevity. The door features attractive latches and hinges.